DLM Removals & Storage are an interstate furniture transportation company. Specialising in interstate furniture moves of all shapes and sizes. From pallets to flatpacks. DLM Removals & Storage can handle all types of furniture for any interstate transportation requirement. Operating 7 days a week 365 days a year. Striving to maintain and deliver a professional and affordable interstate moving experience for customers around Australia. Do you need to have furniture moved interstate? 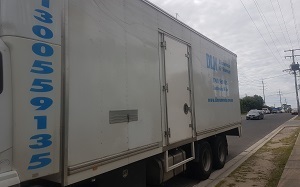 DLM Removals & Storage have a fleet of trucks transporting furniture interstate throughout Australia daily. An interstate furniture moving cost will depend on the amount of goods and the distance of transportation. Interstate furniture moving locations include. DLM Removals & Storage provide interstate freight transportation for companies and businesses throughout Australia. Specialising in interstate furniture transport. We load trucks specifically to meet a high demand of interstate furniture transport. Our specialist team will load the trucks and trailers to ensure all freight is delivered interstate on time with ease. 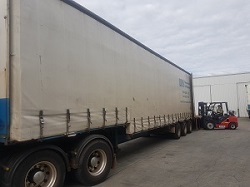 Our interstate freight loading techniques ensure all goods are secure and safely transported interstate to various shops and department stores around Australia. Having the ability to correctly load specific furniture items for an interstate freight transport quota is important. We map out each truck and trailer to specifically meet the customer’s demand for any interstate freight transportation. Costs will vary depending on the amount and distance the furniture will need to travel. We frequently deliver goods to and from all major cities in Australia and even to more remote areas within Australia. To inquire about locations for any interstate furniture transportation. Please call us or submit a contact request above. When it comes to any interstate backload. There is a certain amount of planning and organisation that is required to ensure your furniture is moved safely and securely. We use the latest packing equipment and prevent damage to your furniture using removal pads which are made with high thread count fabric. This allows any friction that may occur to happen between the removal pads and not the actual furniture. Interstate backloading basically means your furniture goods will be loaded with others. This makes for a cheaper alternative to move interstate while still getting the labour of a traditional door to door removal process. At DLM Removals & Storage we understand any interstate move. From the loading of fragile to more awkward larger items. A moving company that strive to deliver an affordable professional interstate moving experience. Securing loads and managing your goods while being transported from one state to another. 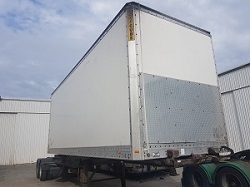 Just below you will find some of our trailers that are regularly used to transport furniture interstate for home or office. DLM Removals & Storage utilise the expertise of our staff members to deliver a professional interstate removal for home of office furniture. Traveling throughout Australia to Queensland, Northern Territory, New South Wales, Victoria, Australian Capital Territory and Tasmania. Wherever you need a professional interstate removal service. DLM Removals & Storage will strive to deliver an affordable interstate removalist service. Finding an interstate moving company isn’t always the easiest task. There are many moving companies to choose from. 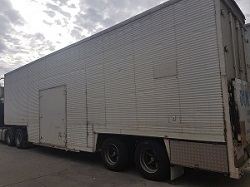 DLM Removals & Storage have been operating for over 18 years providing interstate removals for home and office furniture. Our trucks are equipped with the latest moving equipment to ensure your goods are moved interstate safely and effectively.